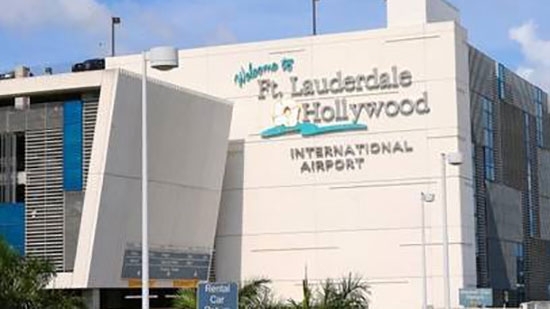 A Dover, Delaware woman has been identified as one of the five people who were shot and killed last Friday at the Fort Lauderdale-Hollywood International Airport. Broward County officials released the names of the five fatal victims on Wednesday from the shooting on January 6th. 69-year-old Mary Louise Amzibel was originally from Ohio but moved to Delaware. A 62-year-old man, Terry Michael Andres, who was also shot and killed, is originally from Millville, NJ, but was living in Virginia. The other three victims are 70-year-old Shirley Wells Timmons of Ohio; 57-year-old Michael John Oehme of Council Bluffs, Iowa; and 84-year-old Olga M. Woltering of Marietta, Georgia. The suspect, 26-year-old Esteban Santiago, remains jailed on federal charges without bond. A man is on trial for murder in Northampton County, PA, because he scared a woman to death. 29-year-old Quadir Taylor of Easton and others set out to rob 76-year-old Carrie Smith of Wilson Borough in her home in January 2012. They woke her up, pointed guns at her, and demanded money. She opened her safe and gave them cash and jewelry. Smith suffered a heart attack that night but was able to call 911. Two months later, she died. Prosecutors claim that Taylor's actions that night caused her eventual death. The defense plans to show that she suffered from a number of pre-existing heart and lung conditions that could have caused her death and not this incident two months earlier. Two others have already been convicted in this incident, 32-year-old Rebecca Johnson (Smith's own granddaughter) and 34-year-old Rogel Suero. La Salle High alumnus and Former Philadelphia Eagles Defensive Coordinator Sean McDermott has been hired as the next Head Coach of the Buffalo Bills. He was working as the DC of the Carolina Panthers. This morning, mostly cloudy, temperatures in the low 50s, going to a high of 61 in Center City.